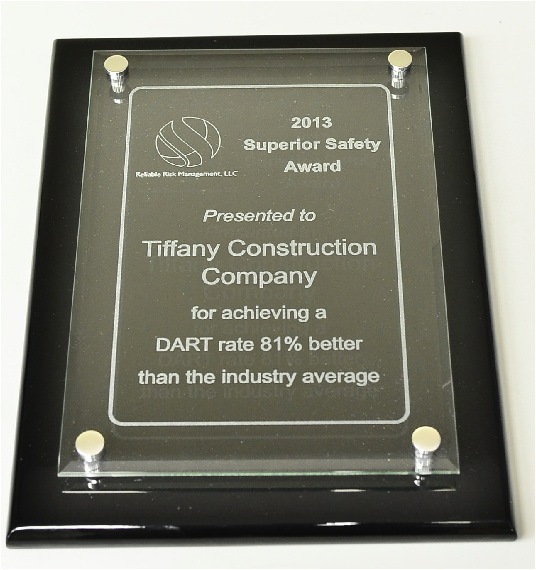 Safety is a priority at Tiffany Construction as evidenced by our EMOD of 0.76. 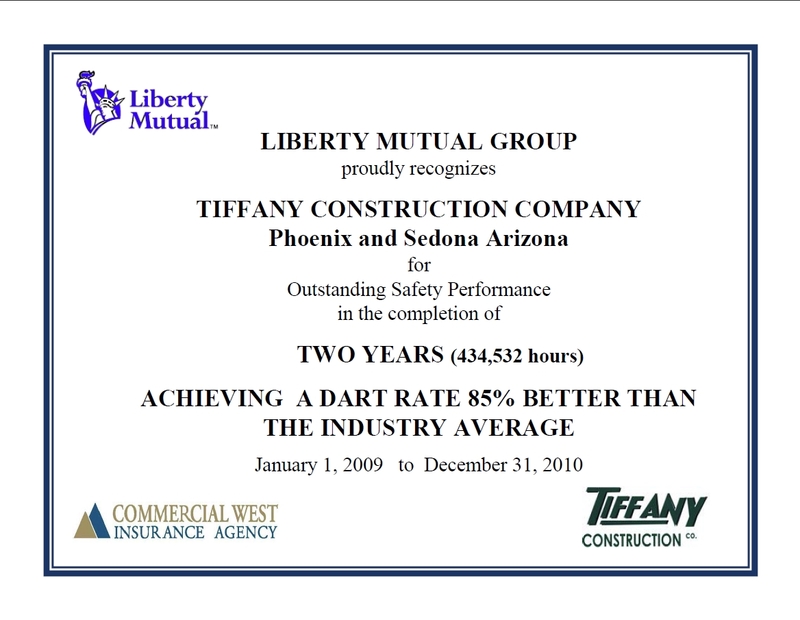 Tiffany has worked for many years at the Palo Verde Nuclear Generating Station and Intel CHA Project where safety is a requirement, not just an expectation. We have adopted this culture and utilize these aquired protocols. 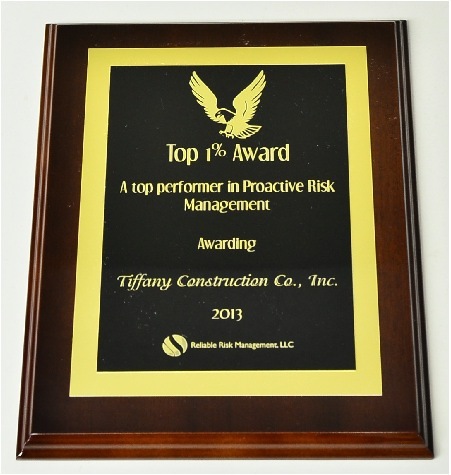 Tiffany Construction’s crews are highly trained and experienced in construction and public safety. Our field personnel are trained to be considerate of the public and provide for their safety at all times. Public safety is carefully studied and a safety plan developed for each project including the use of devices and/or precautions taken to achieve the highest quality of project and public safety. In addition to public safety, our team will ensure the project is accomplished in strict accordance with our mandatory safety procedures which all employees and subcontractors adhere to. 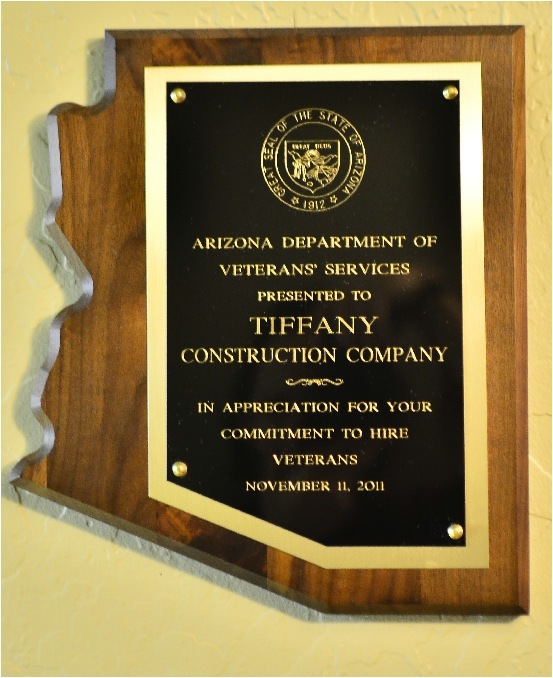 Tiffany Construction has successfully completed many projects in both residential and school settings where public safety was a major concern. The project owners, home owners’ associations and public have expressed praise for our ability to minimize disruption and our attention to their needs and safety. 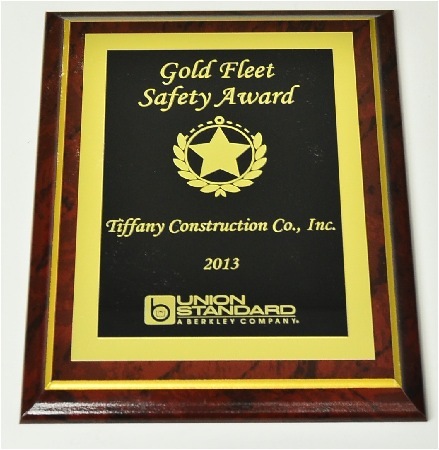 We have earned multiple safety awards as a direct result of our strict safety protocols. 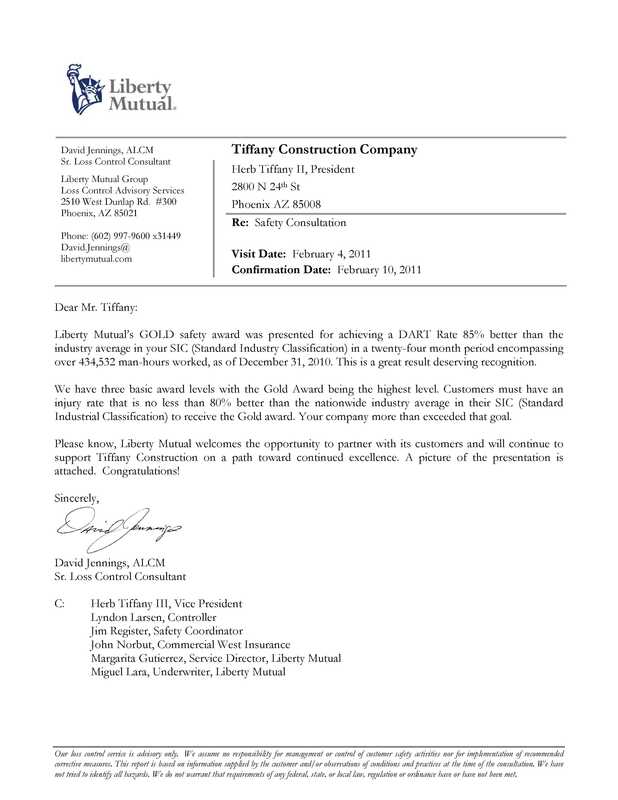 Awarded Liberty Mutual's GOLD Safety Award for acheiving a DART Rate 85% better than the industry average. 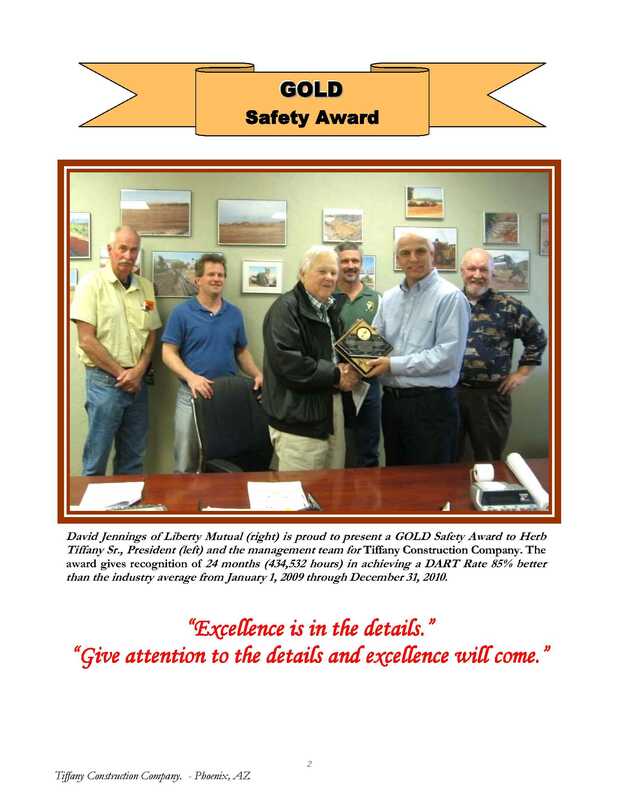 "Give attention to the details and excellence will come" Liberty Mutual GOLD Safety Award given to Herb Tiffany Sr. 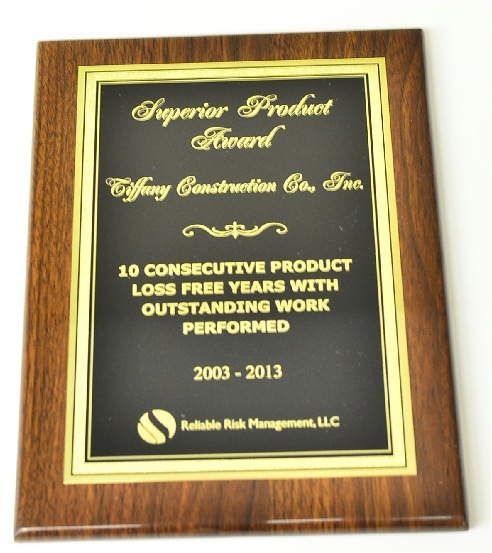 Outstanding Safety Performance in the completion of 434,532 hours (2 Years). 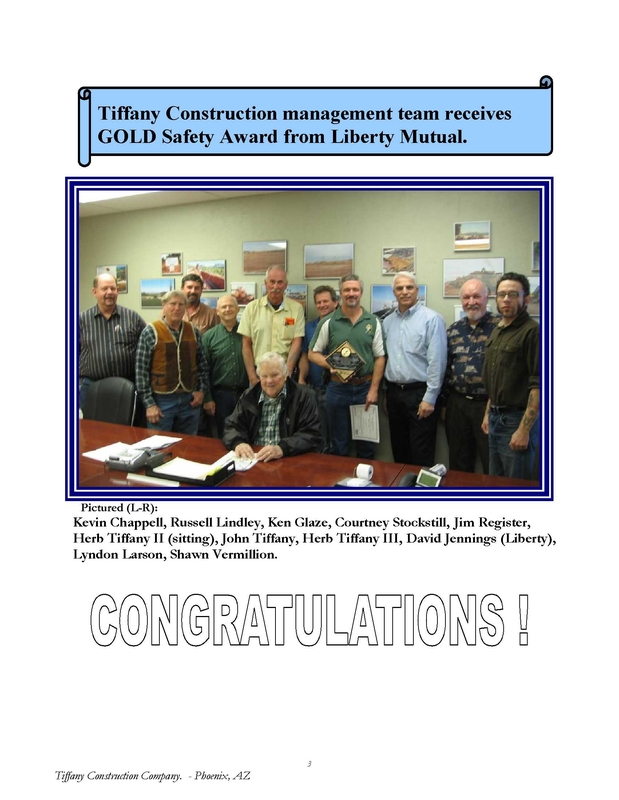 Congratulations Tiffany Construction on receiving your GOLD Safety Award from Libery Mutual. 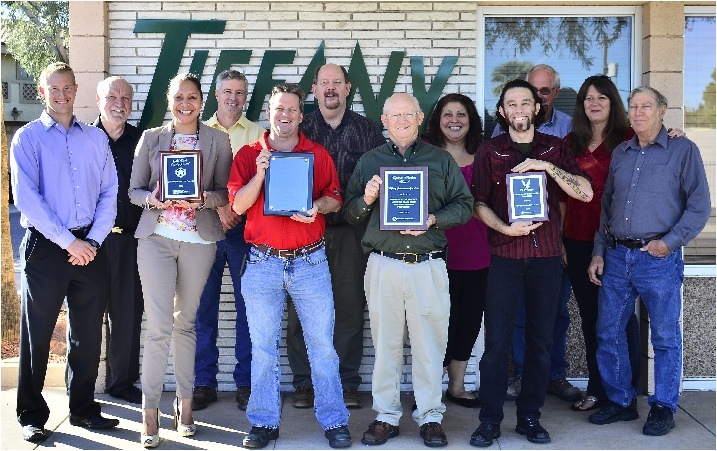 TCC Team Members accept four industry awards for Safety. 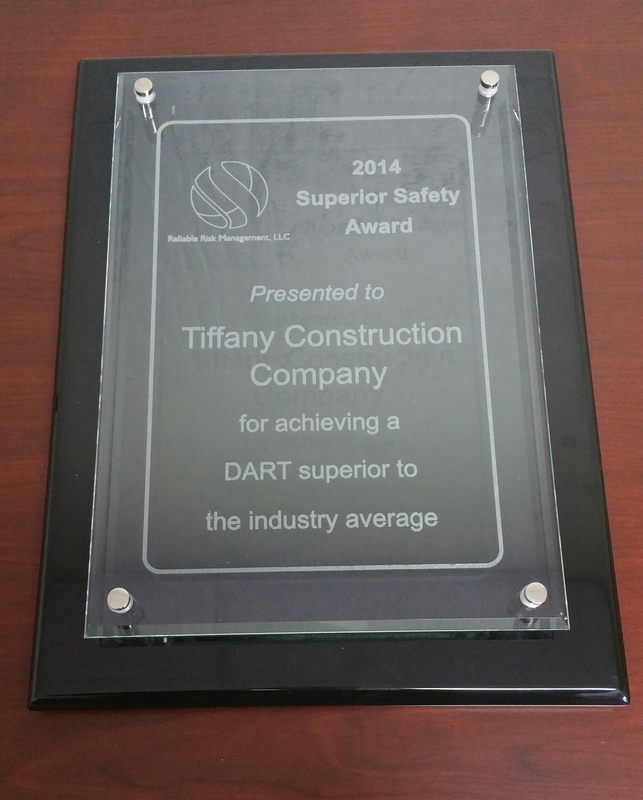 Awarded Reliable Risk Management's Superior Safety Award for acheiving a DART Rate superior to the industry average. 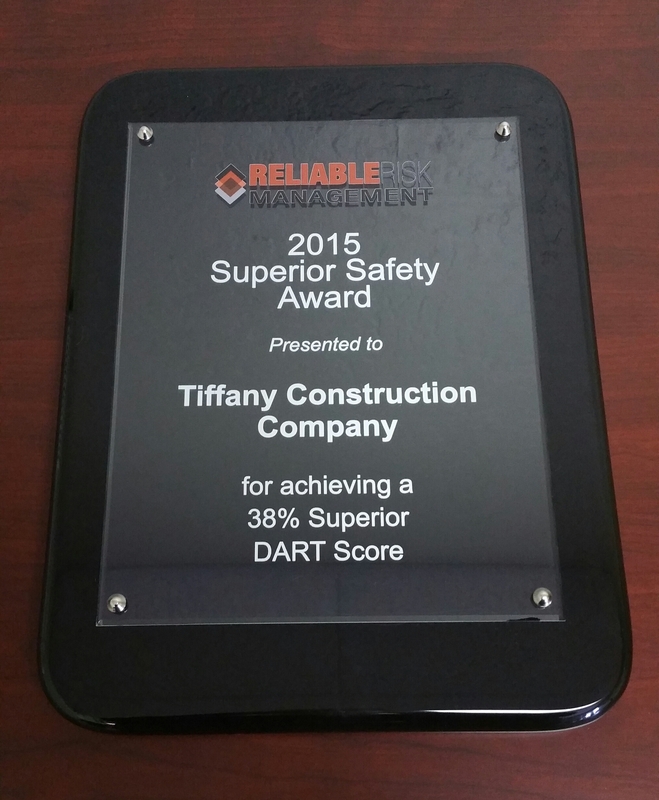 Reliable Risk Management acknowledges TCC for acheiving a 38% Superior DART Score.